A wonderful event that we look forward to living with you to share convivial and festive moments! Book a comfortable cottage in a 5 star campsite near the Mediterranean, next to Fréjus. La Bastiane welcomes you in a wooded area in a quiet area. An authentic campsite offering services and services of superior quality. Heated pools, Restaurants and Playgrounds on site. 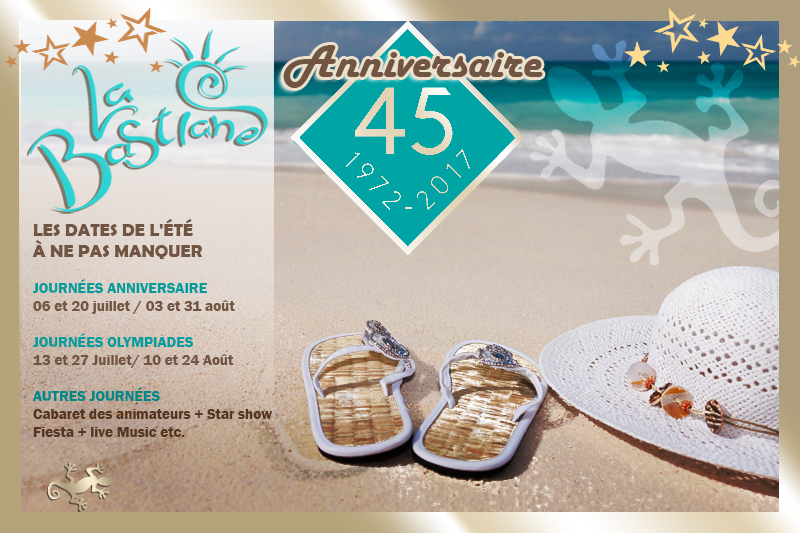 In the summer, the entertainment team offers a program worthy of the biggest clubs on the French Riviera. So hurry, there will not be any for everyone.